With the purpose of reinventing the classic bags, Hermes created the Garden Pouch Bag for the Fall Winter 2018 Collection. Its shape deceives the eyes. From distance, the bag appears to be like the original Garden Bag. 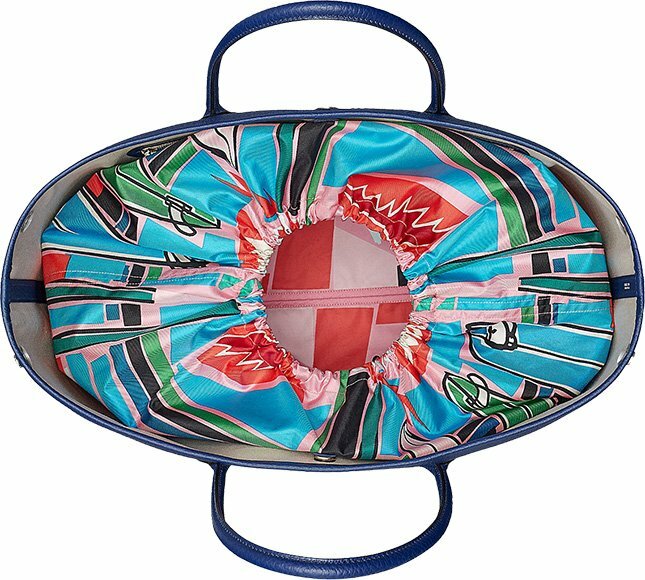 But when looking inside, the multicolor pouch pops out like surprise box. Perhaps that’s the reason why they name it the pouch bag. Walk with the Garden Pouch Bag like its a new fashion day. 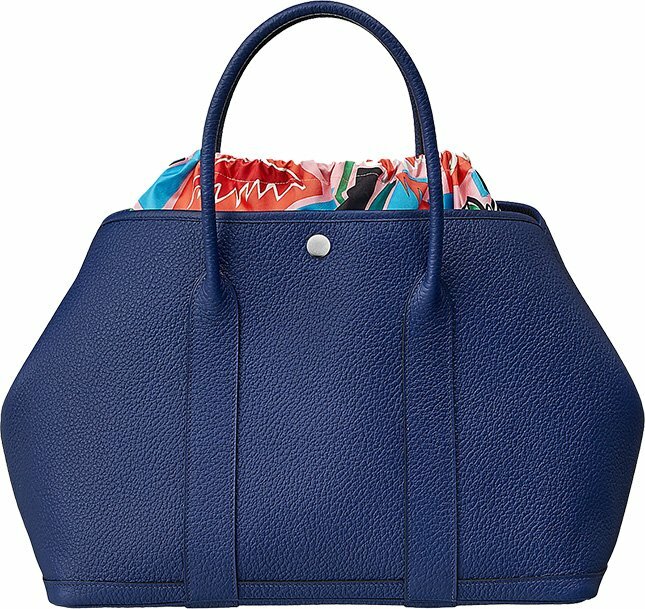 People will stare briefly, then tell themselves: ‘Oh its the Hermes Garden Bag’. But little do they know that its much more than a Tote Bag, it has a secret bag inside. The beauty about this Garden Pouch Bag is that the exterior looks exactly like the original Garden Bag. The body is designed in solid color that gives the classic feel. 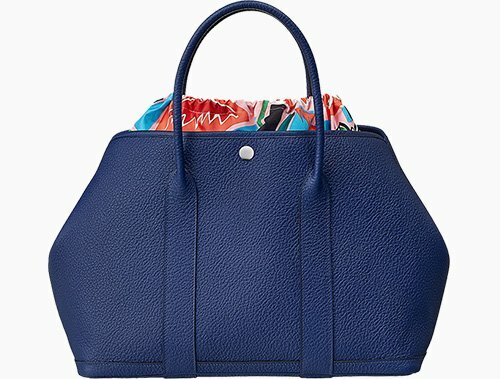 There is no logo that says: ‘I am Hermes’, but every fashionista knows with a single glance how this iconic bag looks like. The top center features a simple silver button and the top is made with double leather handles for hand-carry. This handbag is made from country cowhide leather. Inside this Tote Bag, there is a special pouch included. And it’s not just a pouch. Its an technical printed silk pouch. Silk is a very famous material of this brand and we have previously seen the silky drawstring bag. 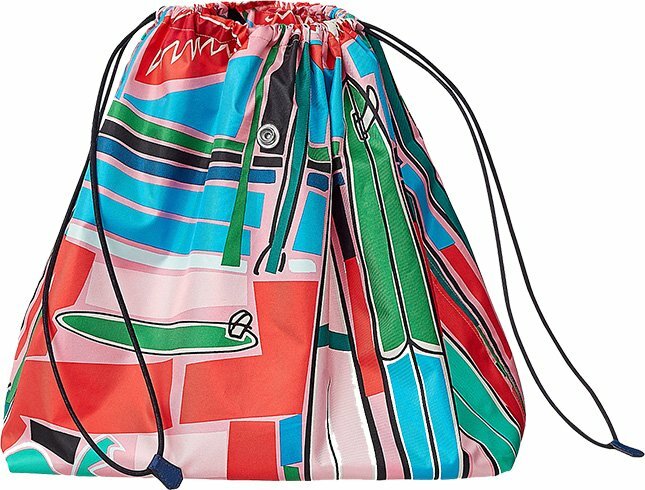 Knowing this, the Garden Pouch Bag is actually a two-bag-in-one deal. When removing the pouch, you can still store essentials inside. Measuring 13.5’ x 10’ x 6.5’ (L x H x D), priced at $4825 USD via Hermes boutiques.